OUT TODAY! You know what Tuesday means! New book releases! – Dragon Authors, Erin Michelle Sky & Steven Brown, writing sci fi and fantasy books for teens and adults. We read Strange the Dreamer together, and we both fell in love with it. It immediately became one of our absolute, all-time favorites. Deeply sympathetic characters. Magnificent world building. Elegant writing. And a beautiful story. Muse of Nightmares is easily one of our most highly anticipated releases of 2018, and it’s finally here!!! We’re a book behind on reading this series, but that would never stop us from wanting the next one! (Hey, it’s called The Daily Bookaholic for a reason.) The photos alone are always worth the price of admission, and we can’t wait to get our hands on it! If you’ve never picked up an actual copy of Miss Peregrine’s Home for Peculiar Children, you absolutely must. You have to see it to believe it. 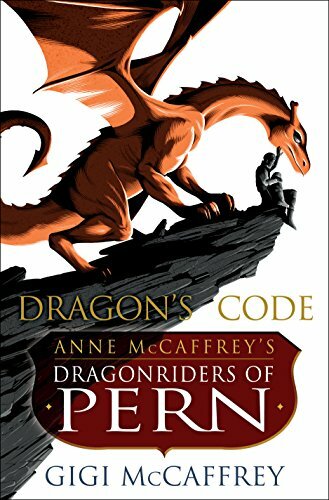 By now, you all know how we feel about Pern, and about this book. (You can read our 5-star review here!) The depth and breadth of this world have never been anything less than stunning, and we even got to ride a dragon and fight Thread again here and there. Like the Oldtimers, we’d be heartbroken if that part of our lives ever looked like it was ending for good. So thank you, Gigi McCaffrey, for keeping that dream alive. And our thanks to the publisher as well for letting us read it that much sooner!! !